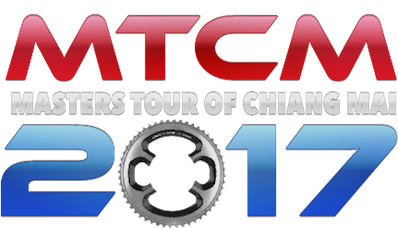 The 7th edition of Masters Tour of Chiang Mai ran between 21st and 24th of October. What a great 4 days of racing it was. The 2nd year I have raced and arguably in a harder field than the previous year. Strong representation from Singapore, Hong Kong and Thailand teams saw most fields packed with talent. The yellow jersey swapped shoulders each day and it was, in the end, a climbers race. A fast stage saw the peloton cover the 80.5 kilometre distance in 1:48:40 with an average speed of nearly 45 kph. The stage saw an early break of 3 riders form in the first 10 kilometres. Nam (strava name? ), in the break, rode the next 18 kilometres at 44.4 kph with an average HR of 177 bpm. He finished the stage with an average HR of 170 bpm. As a comparison riders in the peloton rode at an average of 42 kph for the same 18 kilometres. The break looked to be riding away from the bunch however the speed of the peloton stayed reasonably high, thanks to those who missed the break. A working peloton managed to regain contact with the break with just 5 kilometres left to race. In the second half of the race the average speed of break (47.3 kph) was no match for the thundering peloton (48.8 kph). The final 20 kilometres raced at a blistering pace of nearly 52 kph. The last 5 kilometres saw many attempts to ping off the front and a lot of work done by all teams to keep the race together. The sprint opened up 300m from the finish and with 3 grades fighting for honours the sprint was a full house affair. Yi Ping Teoh (Specialised Mavericks), who placed 3rd in Open category, covered the final 300 metres in 20 seconds with an average power output of 720w (9.91 w/Kg) at an average speed of 54 kph. Kelvin Khoo (Matador), who placed 2nd in 30’s category, covered the same distance in the same time with an average power output of 614w (9.16 w/Kg) and an average speed of 54 kph. The stage was a change from previous years, however it still provided an opportunity for time gaps to open on GC. The stage was a circuit of 4.8 kilometres around Chiang Mai University, consisting of 2 pinch climbs and a few rollers. A total of 10 laps raced, with a KOM jersey up for grabs at the half way mark, meant the stage was one of 2 halves. A total of 48 kilometres raced in 1:09:34, making an average speed of nearly 42 kph. Pretty quick considering there was also nearly 700m of elevation gain. Many breakaway attempts failed as nothing managed to stay clear until the 6th lap of the stage. Turakit (Triple-S), Nicholas (Nich) and Tanaphon (Roojai-Numchi) went clear, followed by a small chase group of 3 riders. After some great team riding by Will (Allied World – Kemp), myself and Bastian (Specialised Mavericks) bridged over to the main break away making it 5 riders clear of the bunch. The stage now set for the final to play out as the break had good representation. In the final 3 and a half laps I rode with an average HR of 175 and a peak of 183, putting out, on average, 278w. The winning move by Turakit (Triple-S) came just before the KOM hill around 1.1 kilometres from the finish. An acceleration followed by a fast KOM climb saw a gap open that nobody was able to respond to. Nicholas (Nich) and Bastian (Specialised Mavericks) rounded out the top steps. The 5 breakaway riders rewarded with up to 54 seconds lead heading into the Queens stage. The Queens stage of the tour saw the peloton ride a flat 30 kilometres south along the Canal Road before turning around and heading north for 30 kilometres. After the flat Canal Road the peloton turned left into the Samoeng Climbs. The climbing of the stage totalled 1,250 vertical metres in 87.2 kilometres. The peloton had no impetus to ride in the opening of the stage which lead to a number of GC riders going clear of the main bunch. The race was in 3 or 4 groups along the Canal Road. Shortly after the u-turn Nicholas (Nich) attacked, seizing the opportunity Bastian (Specialised Mavericks), Khunakorn (Roojai-Numchi) and I joined the attack. The 4 of us worked for the next 20 kilometres to join the front of the race. During this bridge Bastian rode with an average HR of 163. We covered the distance in just 25:54, riding an average speed of 48.3 kph. In comparison, the breakaway group covered the same distance in 27:02 at an average speed of 46.4 kph. Heading into the Samoeng Climb the front of the race was now a group of roughly 9 riders with nearly 10 minutes lead on the peloton. The second ramp of the Samoeng climb saw the race split into pieces once again as eventual stage winner Peerephol (Full Team) launched an attack which none of the riders could follow. Peerephol (Full Team) rode solo to victory completing the stage with a +1:11 lead over 2nd place rider Khunakorn (Roojai-Numchi), and +2:53 lead over 3rd place rider Bastian (Specialised Mavericks). How hard are the Stage 3 climbs? The climbs of Stage 3 are very challenging. 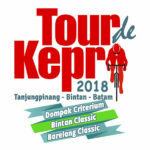 The 600m ramp in the middle of the Sameong Climb is shortly followed by a 2 kilometre category 3 climb, followed by a 5.7 kilometre category 2 climb and finishing off the stage is a 2.4 kilometre category 3 climb. The 2 kilometre cat 3 climb in 8:28, with a VAM of 1284. The 5.7 kilometre cat 2 climb in 19:16, with a VAM of 1322. The final 2.4 kilometre cat 2 climb in 11:27, with a VAM of 1404. Back in the main bunch most of the GC riders stuck together and could only watch as Peter (Infinite AIS) launched his attack along the same stretch of road as Peerephol (Full Team). The 2 kilometre cat 3 climb in 7:05, with a VAM of 1535. The 5.7 kilometre cat 2 climb in 16:11, with a VAM of 1369. The final 2.4 kilometre cat 2 climb in 9:45, with a VAM of 1649. Finishing the stage 3:52 minutes behind the winner and taking 4th on the stage. The ITT was a test for the pure climbers. After 3 stages the time gaps between the top 5 were not insurmountable, the race was still on for the top places. Peter (Infinite AIS) put on a display of pure climbing ability making the ascent in 26:51, with a VAM of 1471. Averaging 400w. Konstantin (Nich) at 27:48 and Nicholas (Nich) at 28:39 rounded out the stage podium. Peter (Infinite AIS) was not able to secure the overall GC. Peerephol (Full Team) held onto the overall GC by a margin of 1:30. As expected the race was won in hills. Peerephol (Full Team) gaining a lead of 3:52 minutes (against Peter) on stage 3 and only conceding 2:21 on stage 4 meant sealing the overall victory was done on stage 3. The top 5 places on GC were mixed up after the final TT. It goes to show that having good climbing legs is key to winning the Masters Tour of Chiang Mai. You can find all the timings on the official website. If you liked this article please leave a comment below. How do you prepare for a bike race?